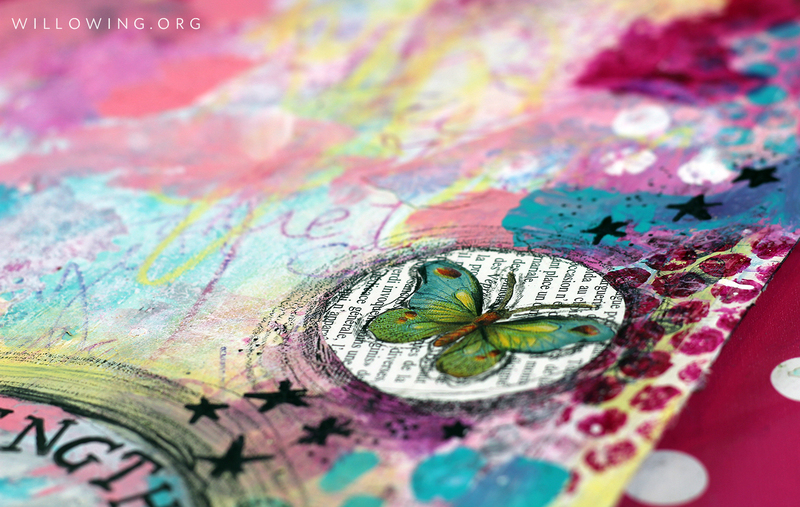 Each year when Life Book finishes running, Tam’s individual classes become available as a packaged deal. 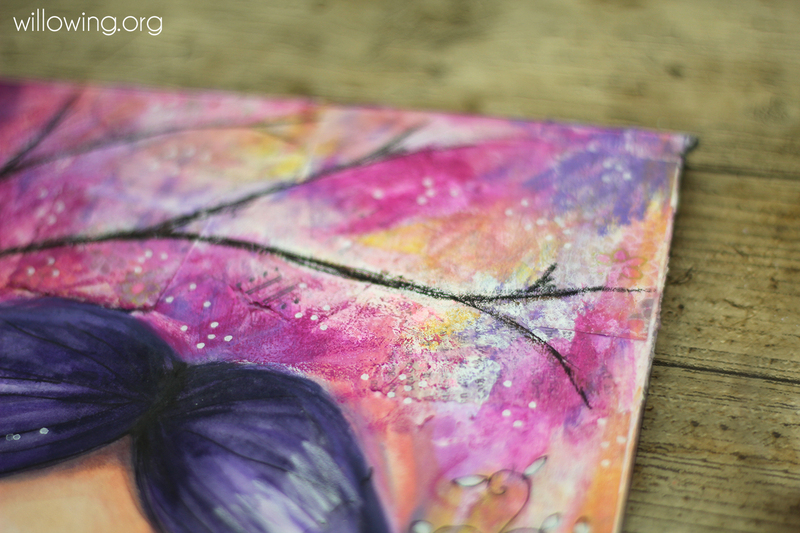 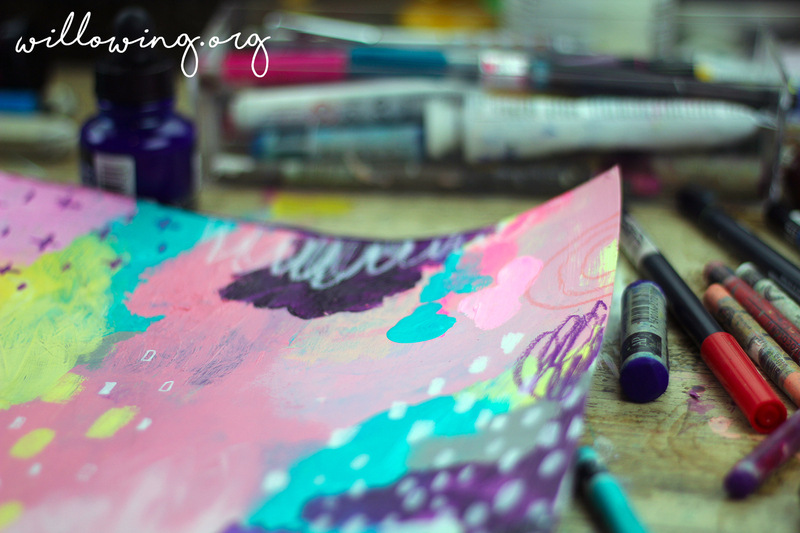 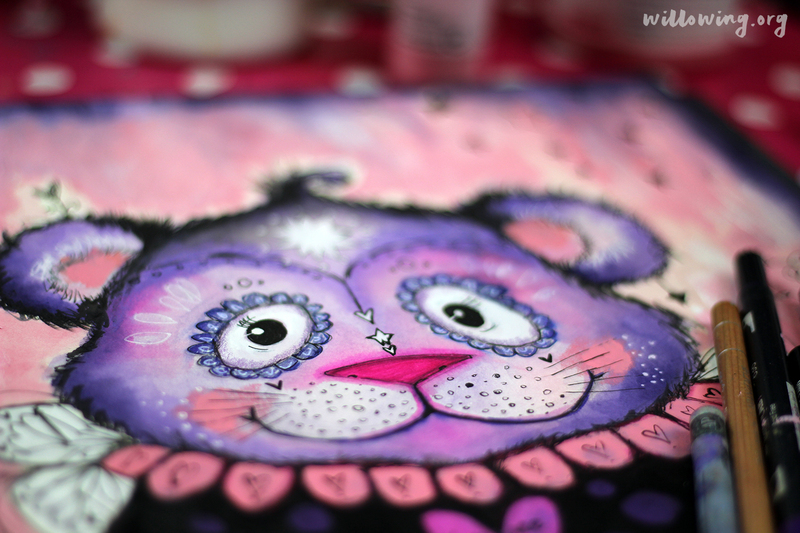 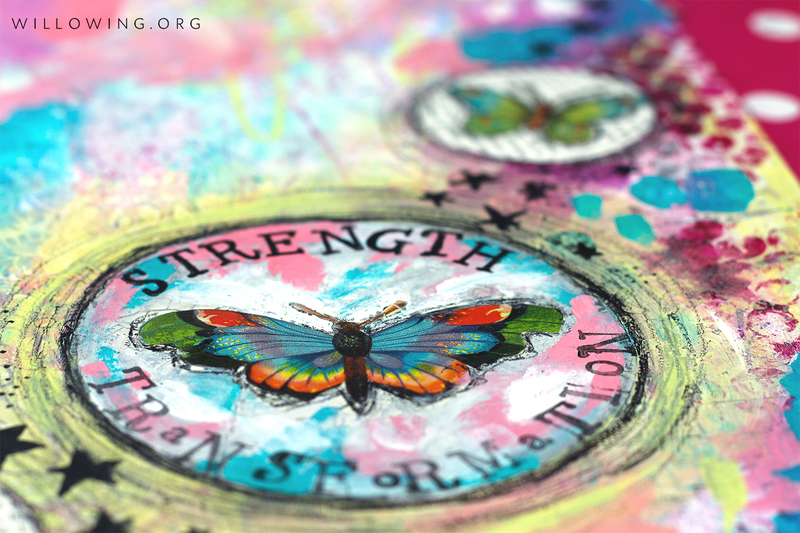 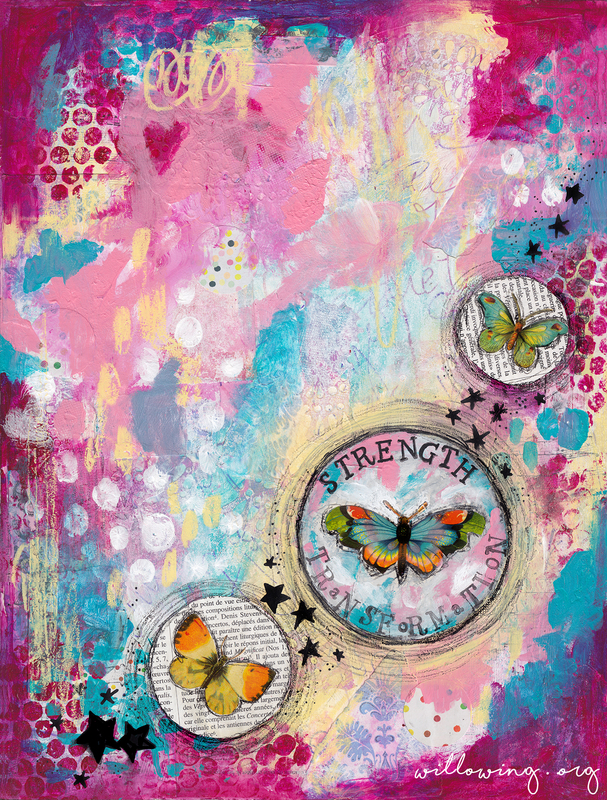 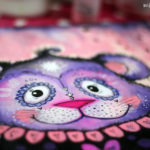 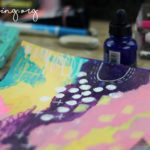 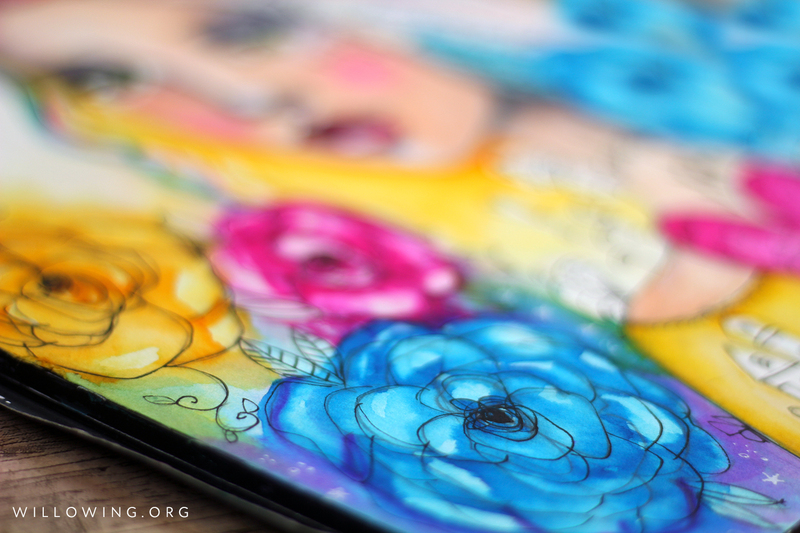 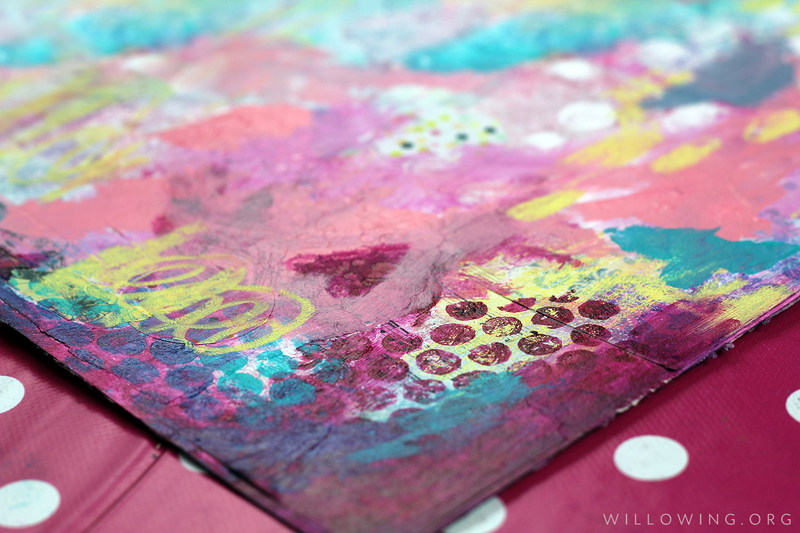 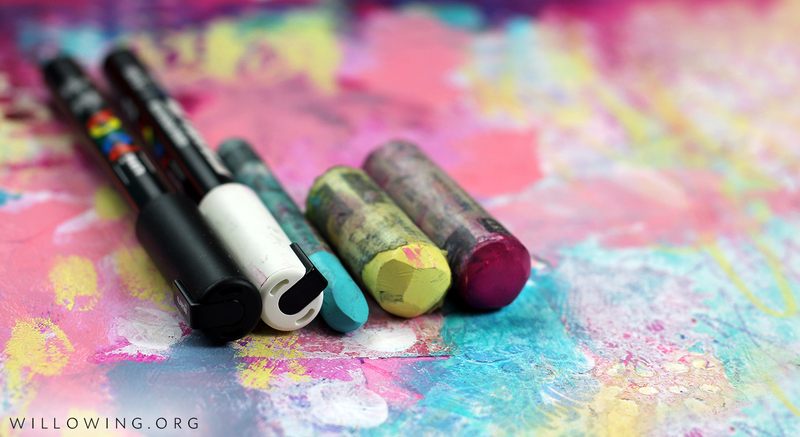 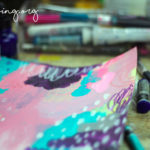 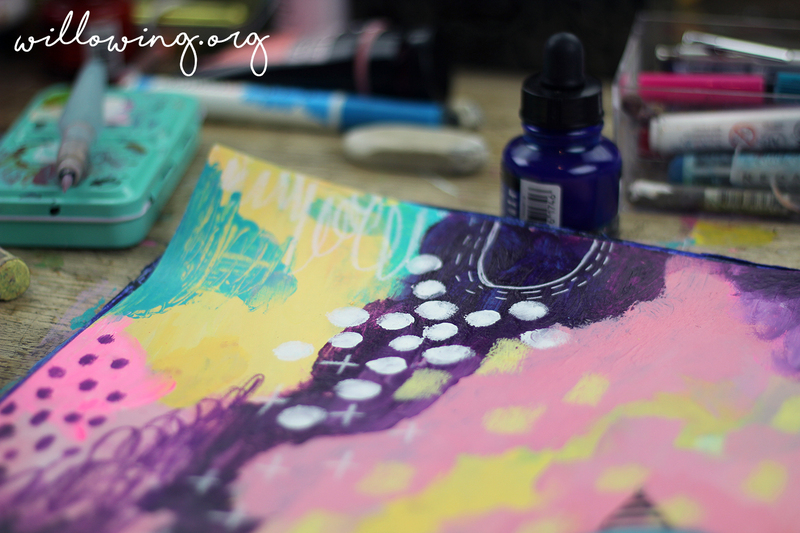 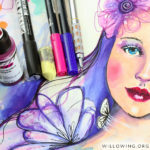 LB2018 includes 7 in-depth mixed media art lessons & 3 bonus lessons by Tam from Life Book 2018. 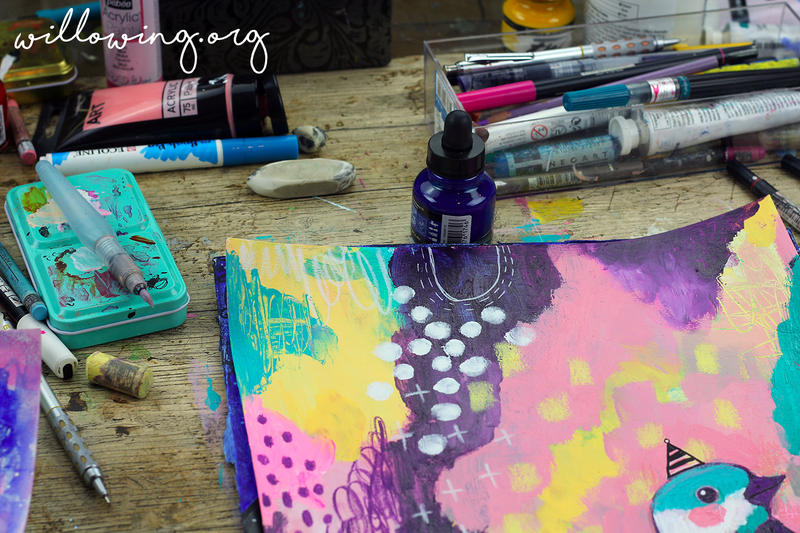 The lessons are taken from Life Book 2018; Life Book 2018 was a 12 month course where Tam and 35 other teachers shared their mixed media, craft and well being techniques, tips and tricks. 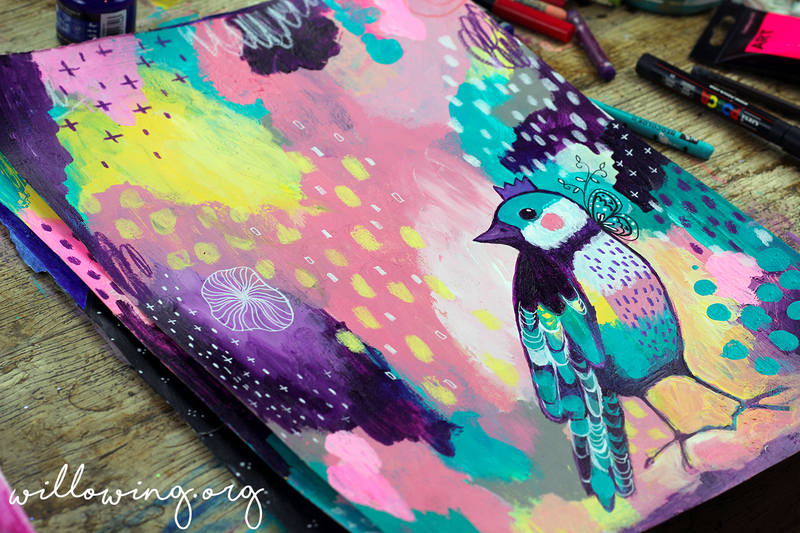 Life Book 2018 has now finished but Tam’s lessons from Life Book 2018 have been put together for you here in this stand alone course Life Book 2018 The Tam Edition! 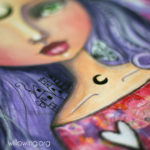 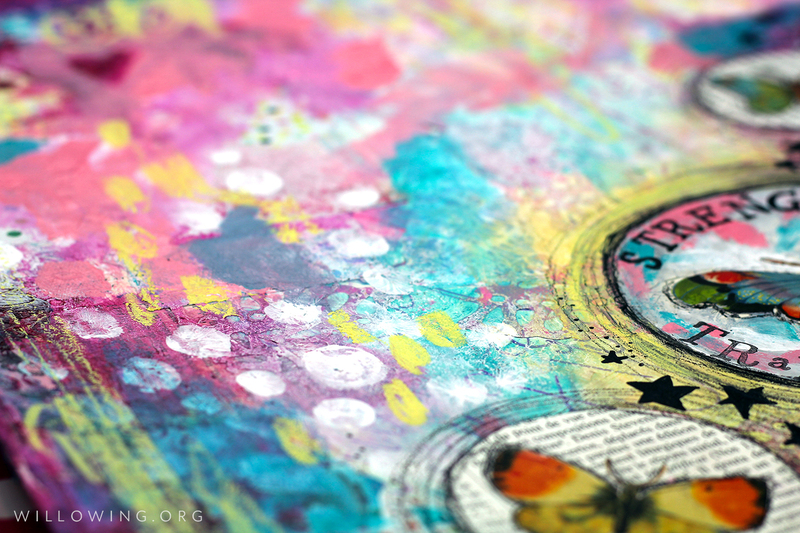 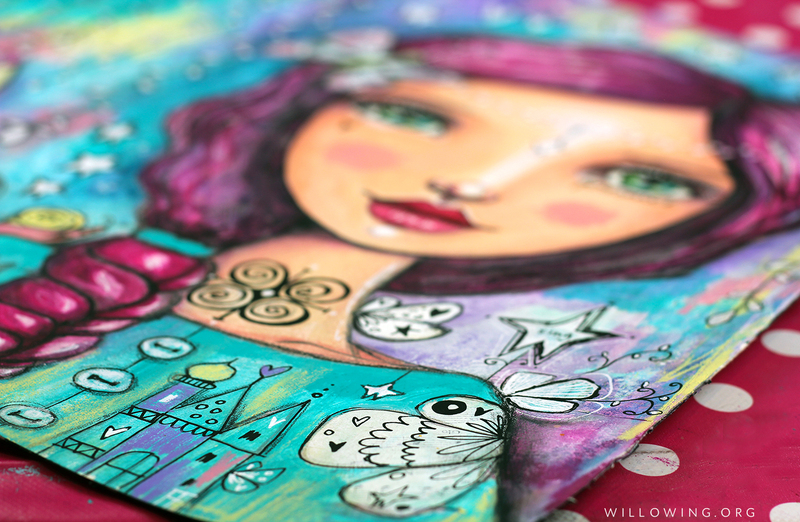 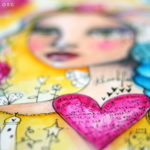 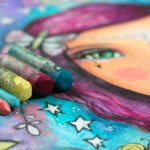 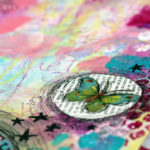 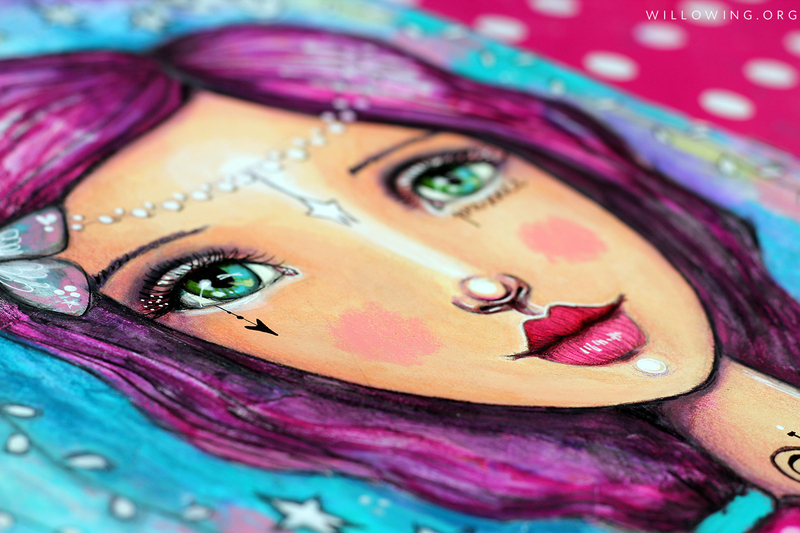 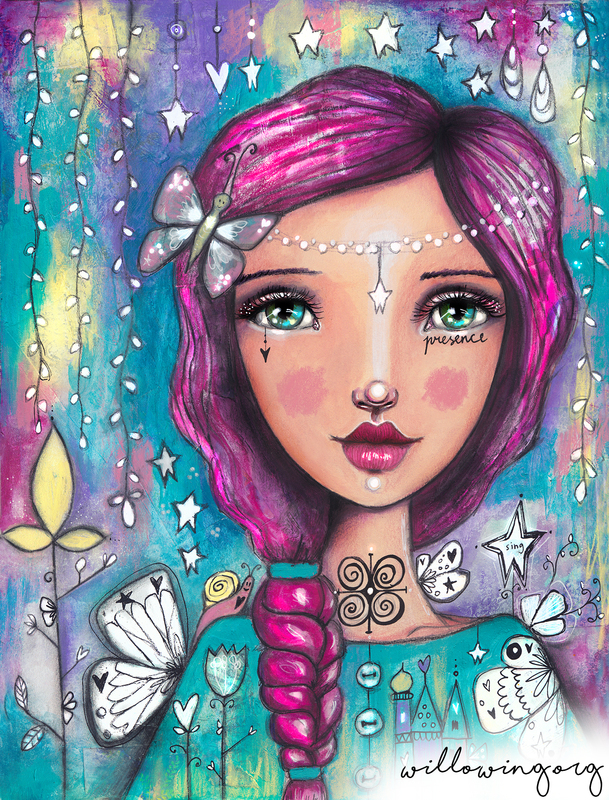 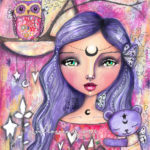 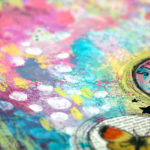 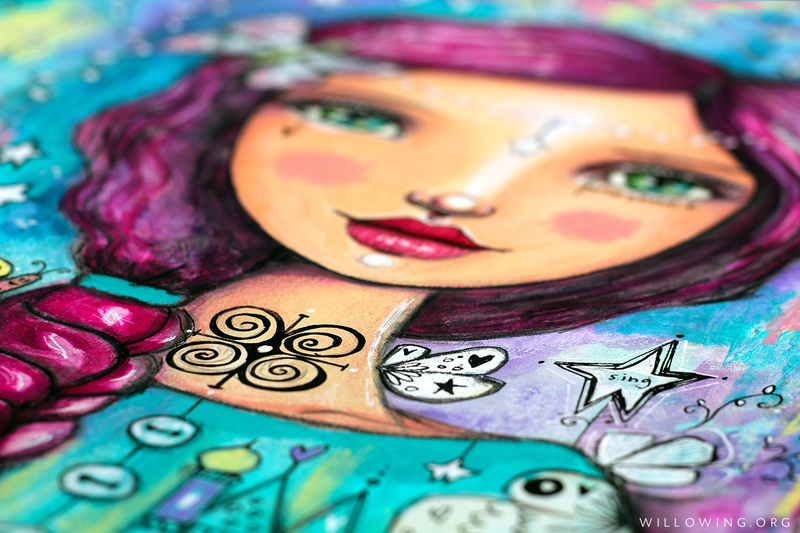 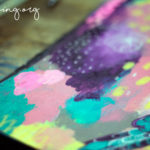 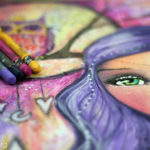 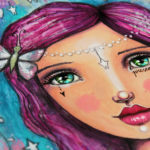 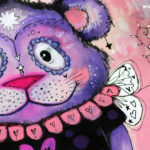 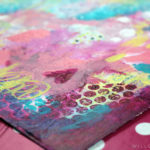 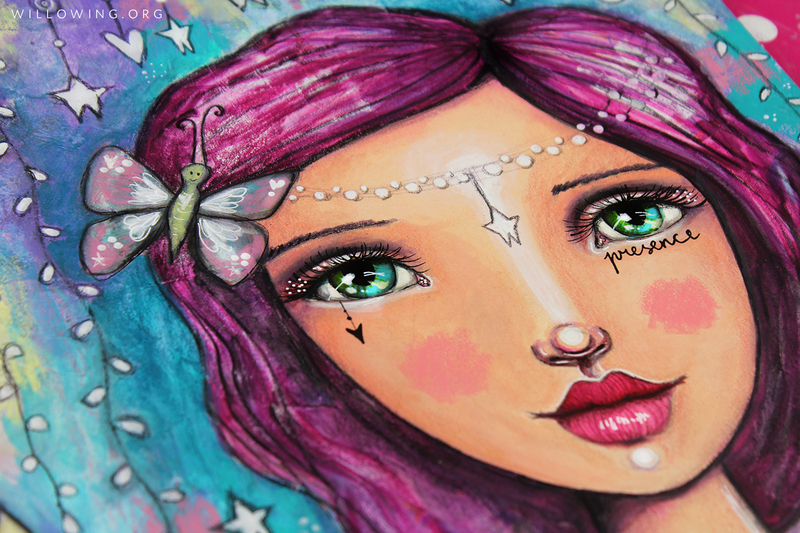 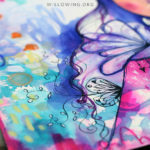 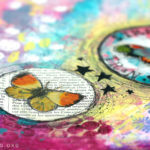 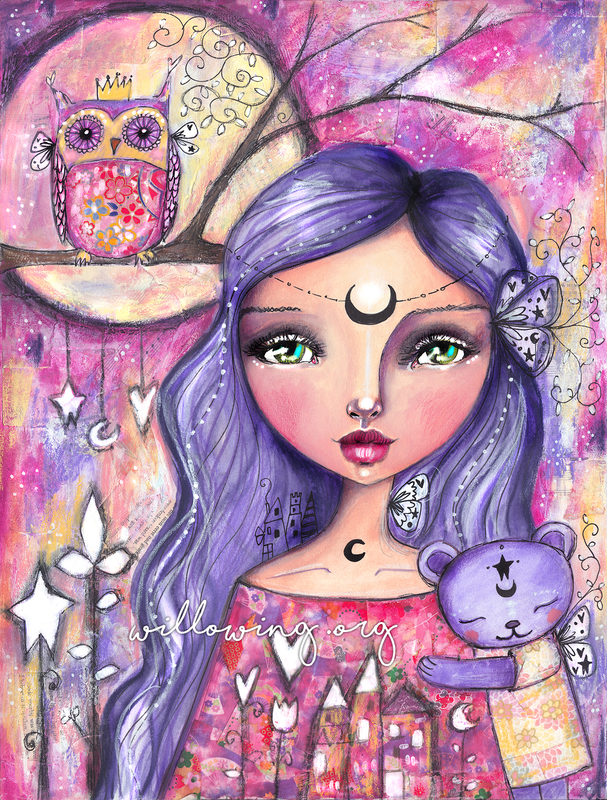 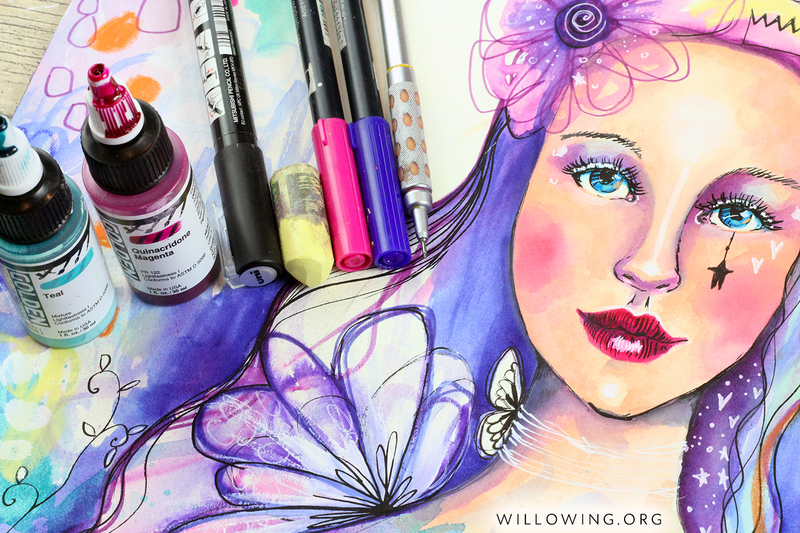 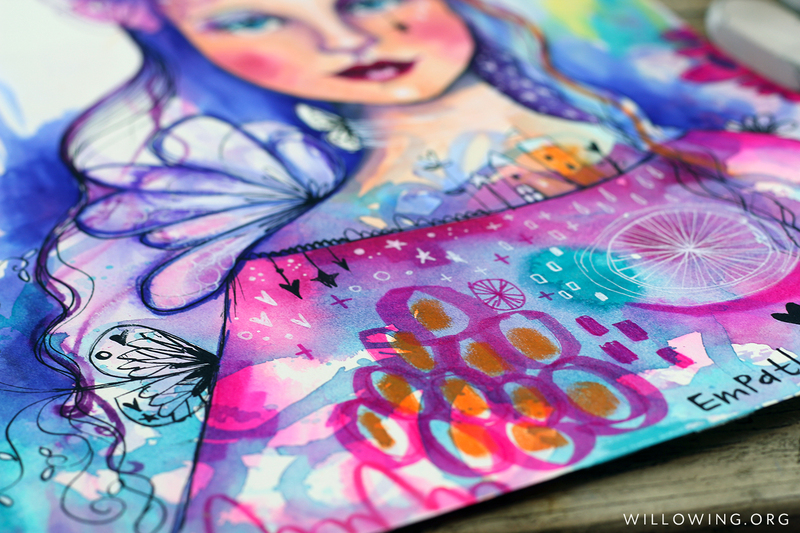 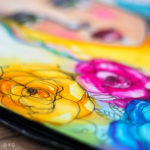 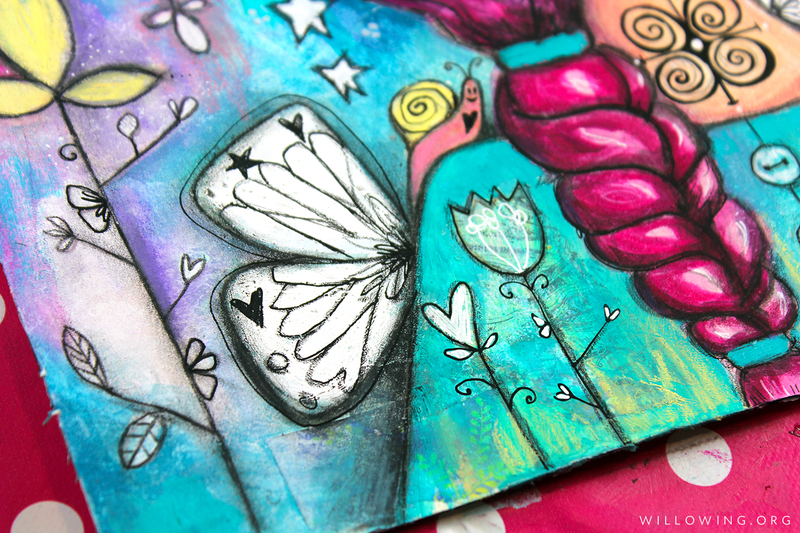 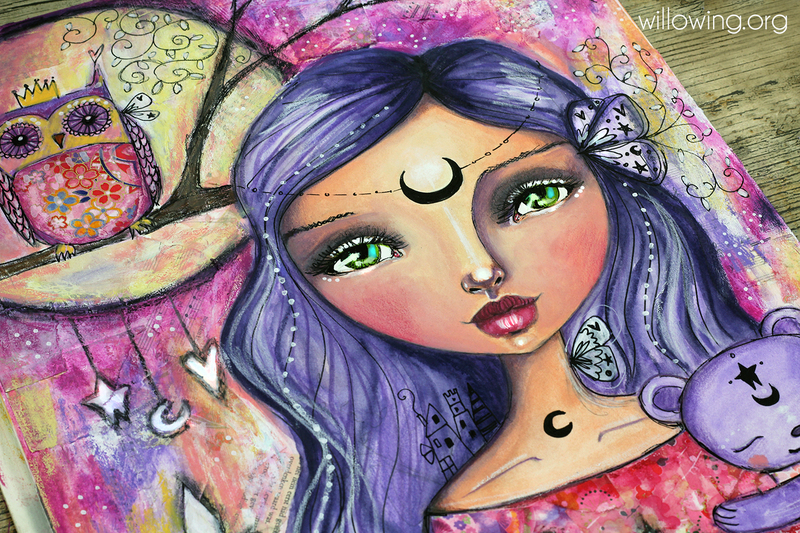 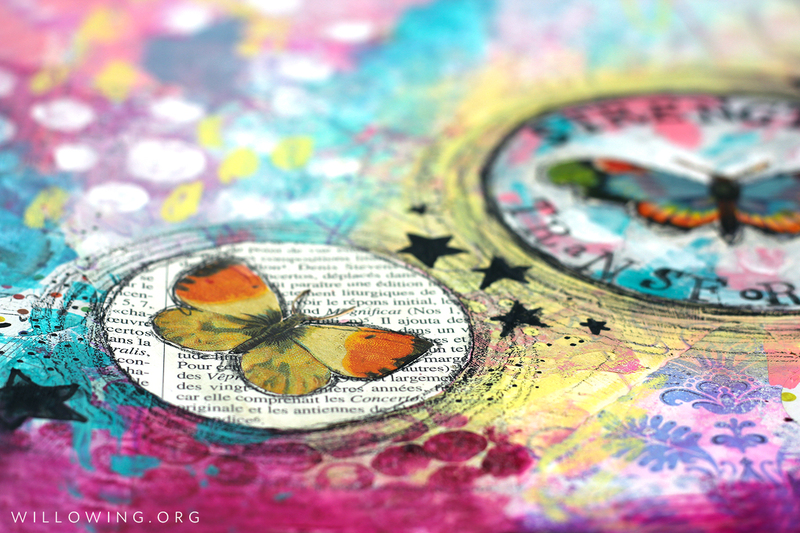 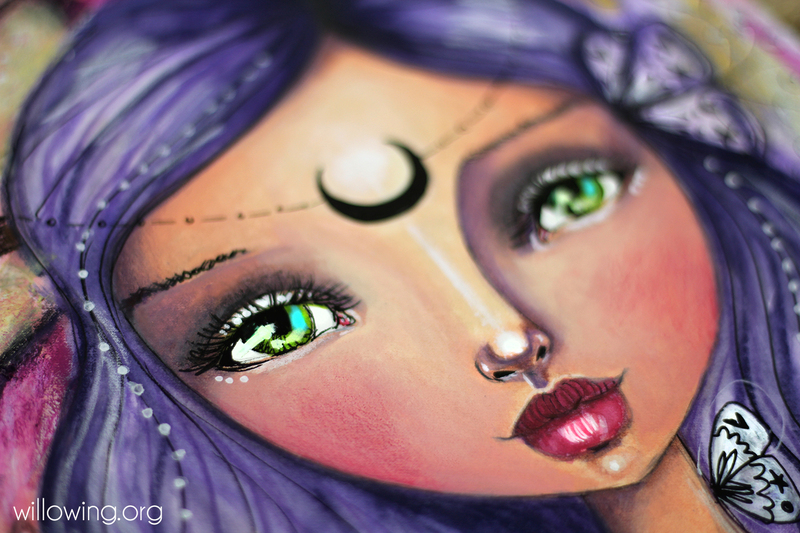 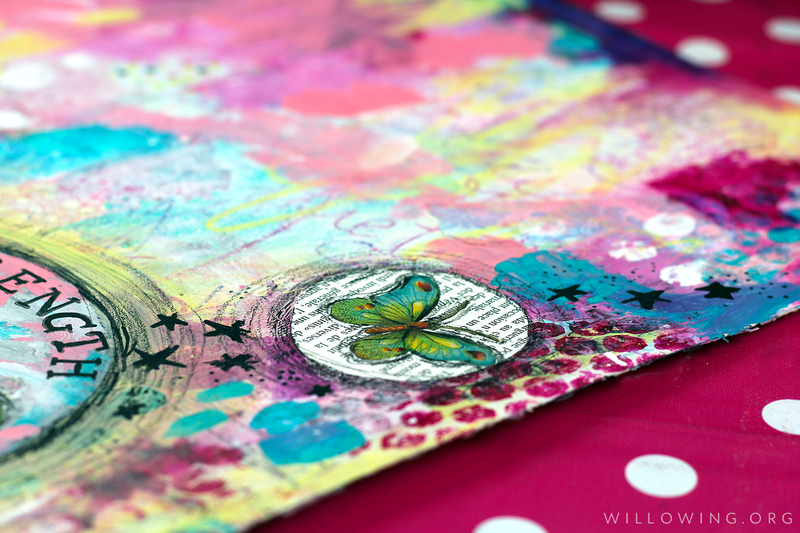 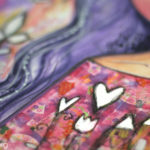 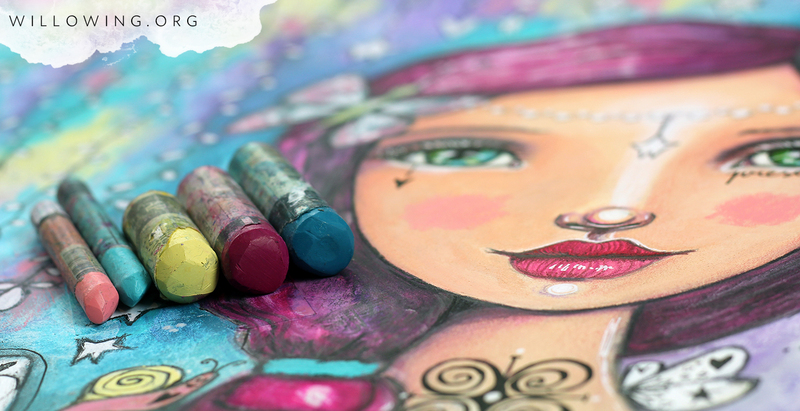 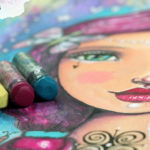 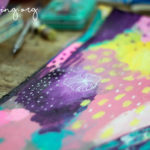 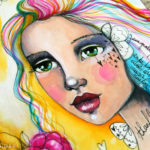 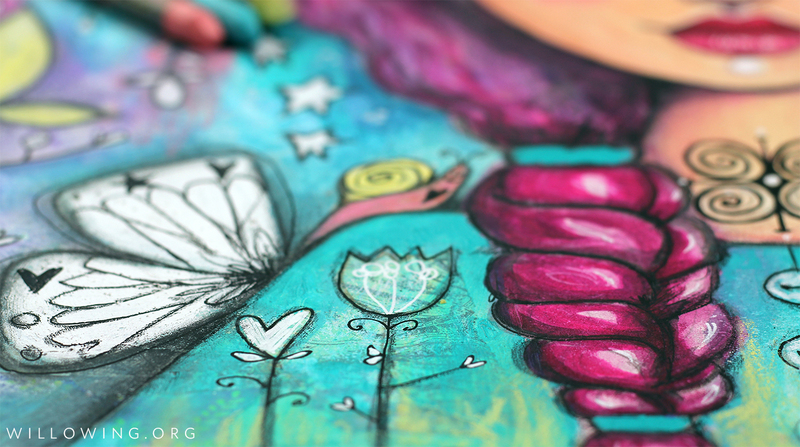 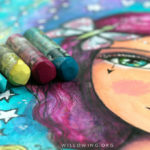 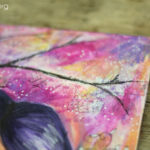 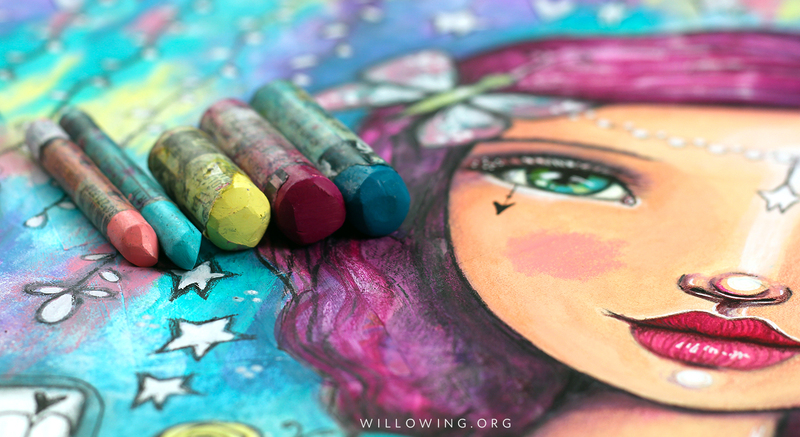 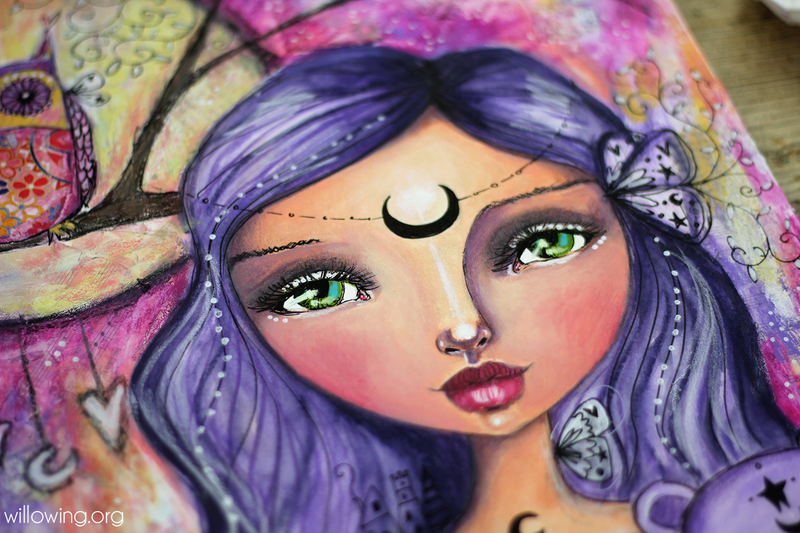 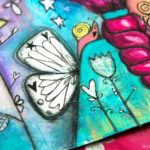 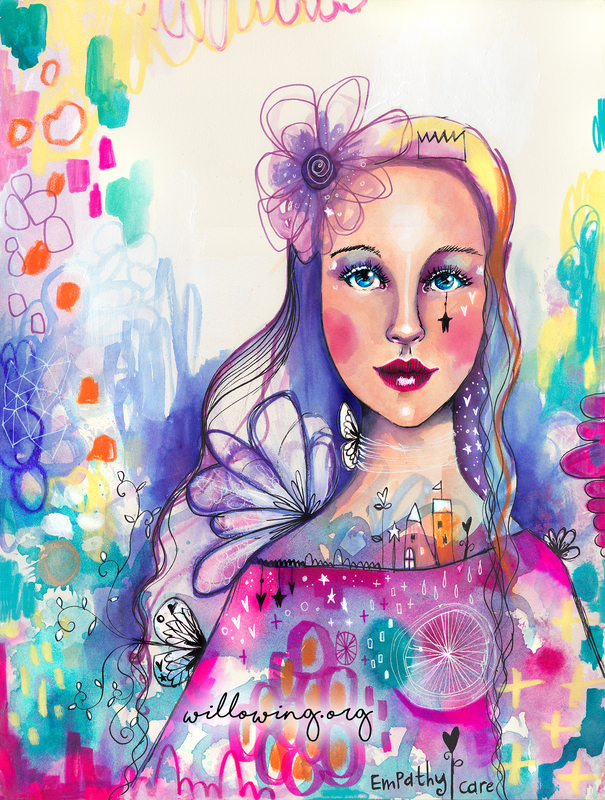 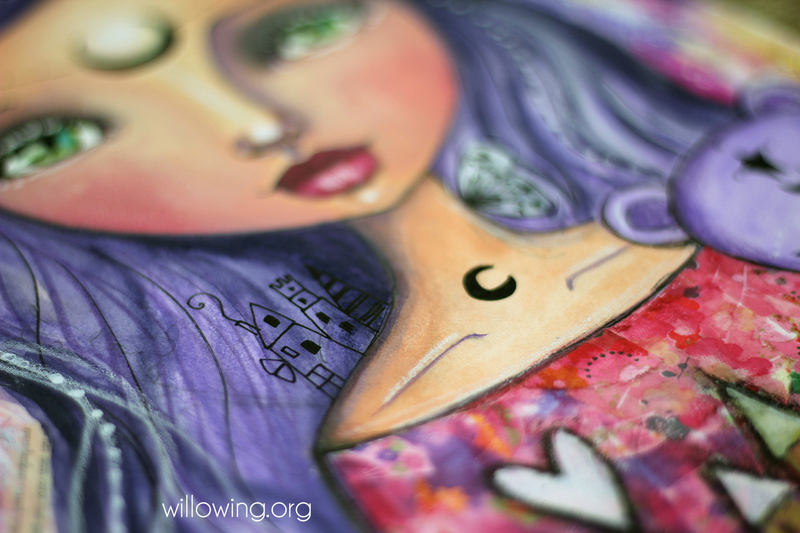 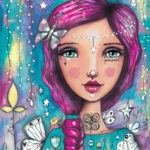 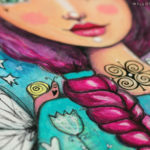 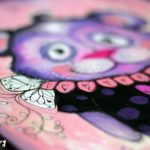 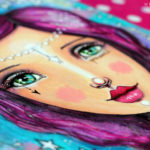 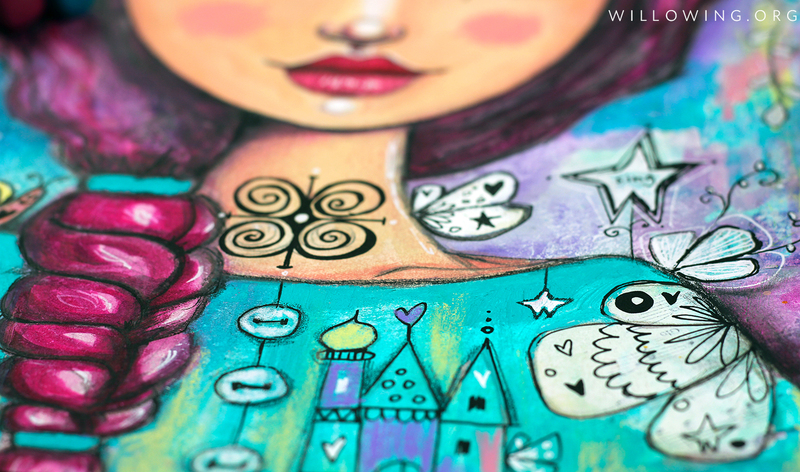 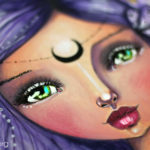 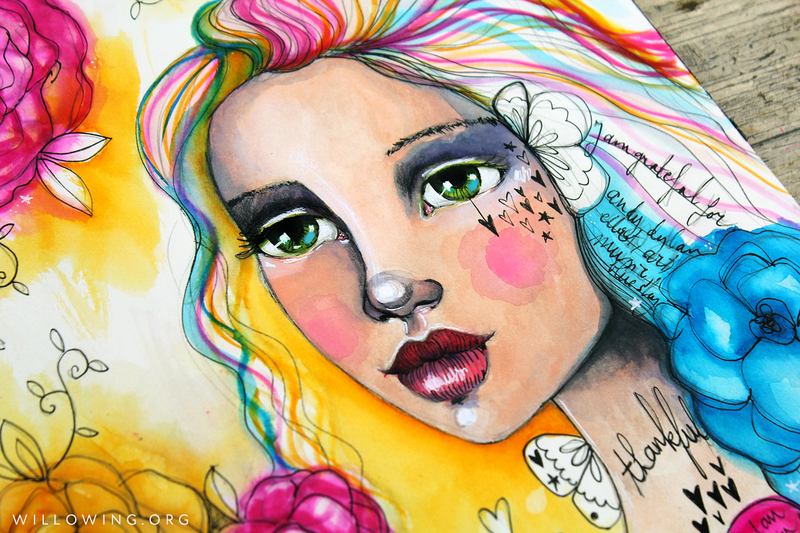 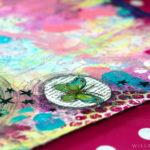 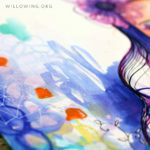 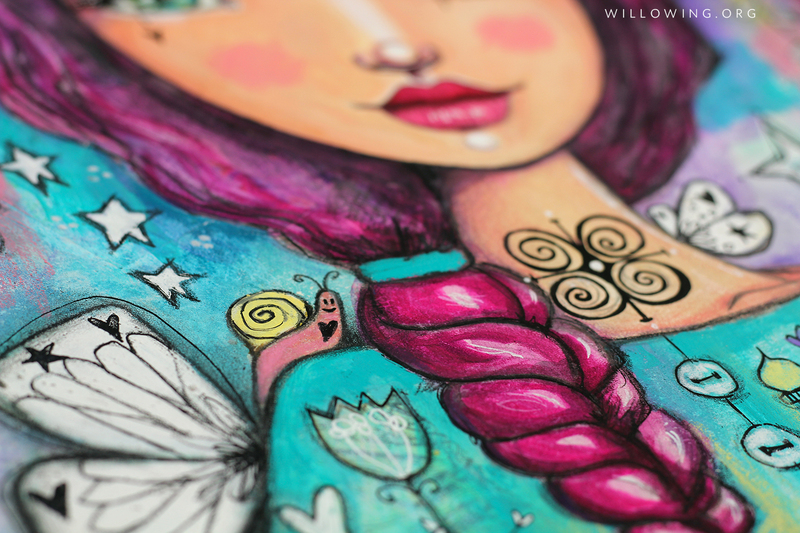 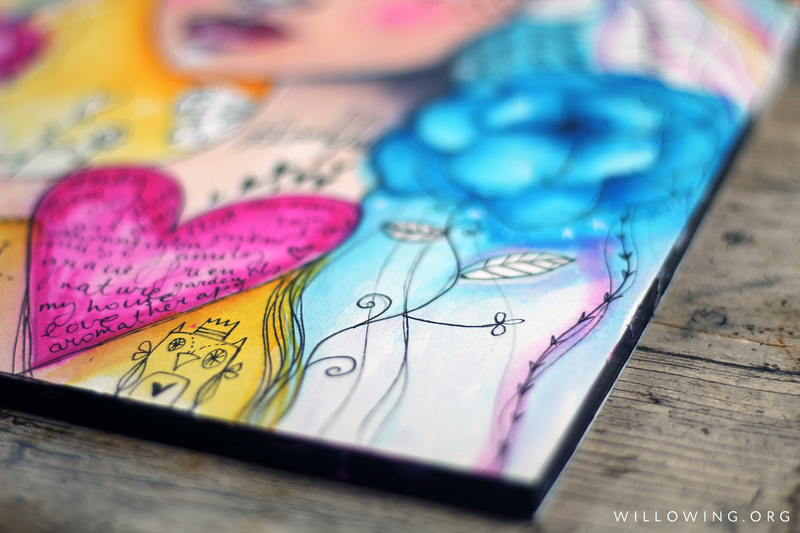 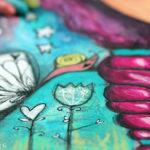 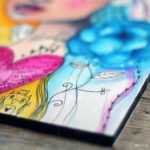 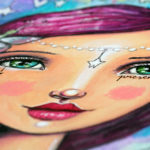 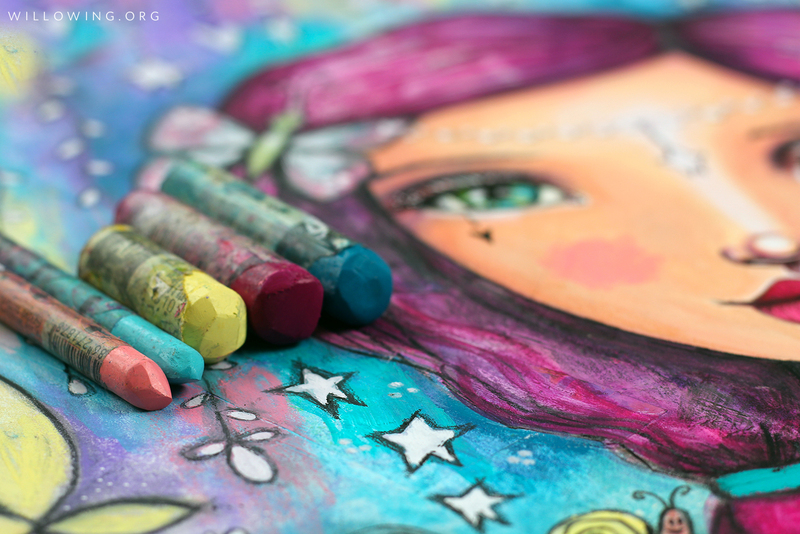 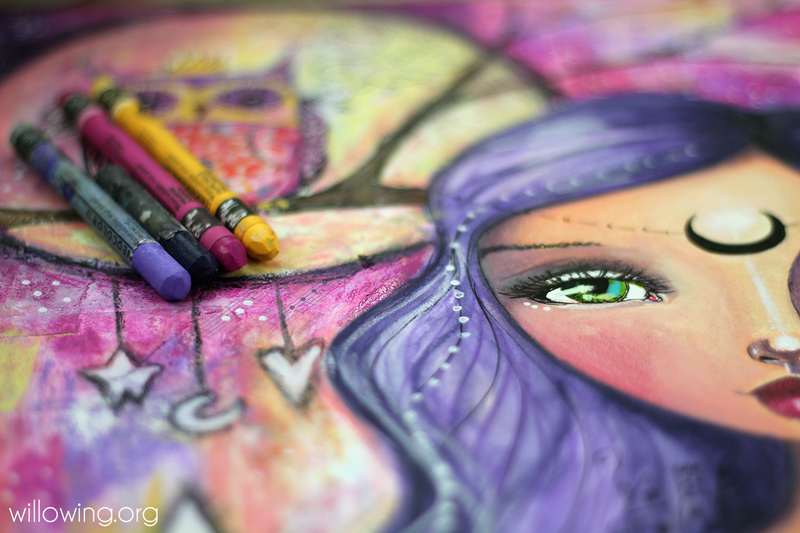 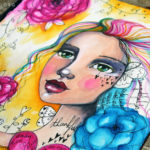 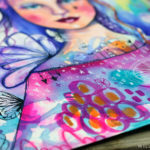 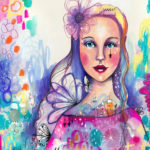 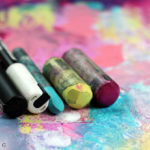 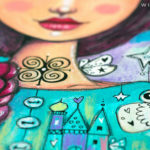 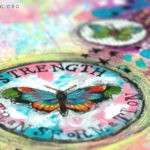 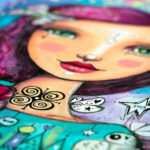 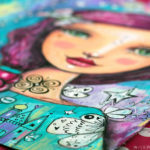 Tending to Your Dreams – Create a front-facing girl (your ‘Garden Fairy’ – see image above) on a mixed media background. 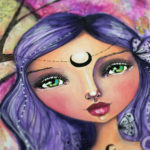 We will create a whimsical/ stylised girl figure who will be nurturing and tending to our dreams, wishes, hopes and intentions for the coming year. 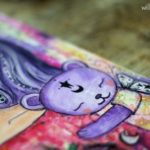 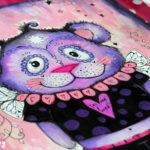 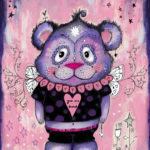 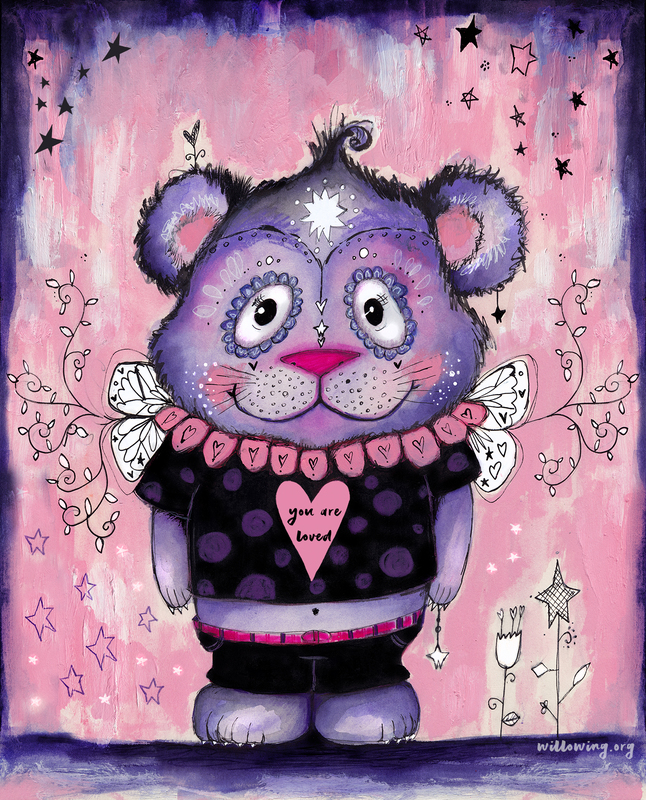 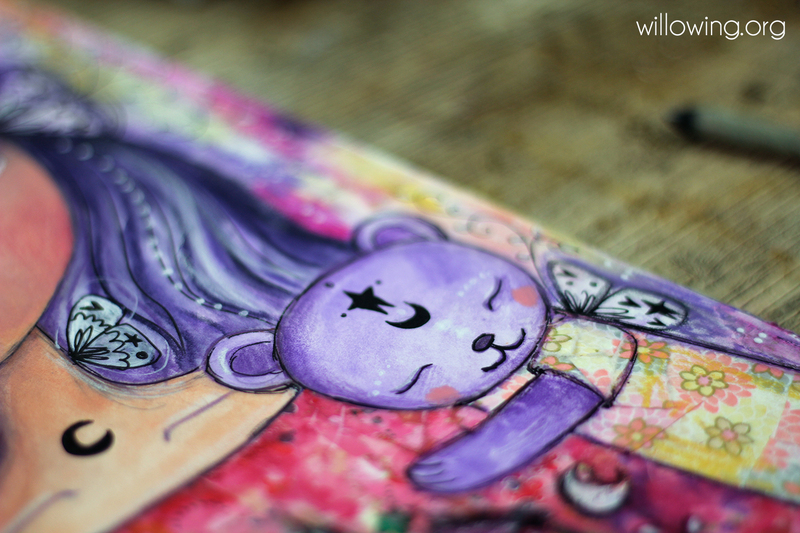 Bear of Compassion – We create a ‘love bear’ who will be your ‘guardian angel of self care’ this year. 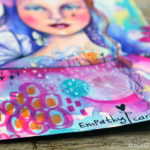 This session also includes a segment on setting self love/ self care intentions this year. 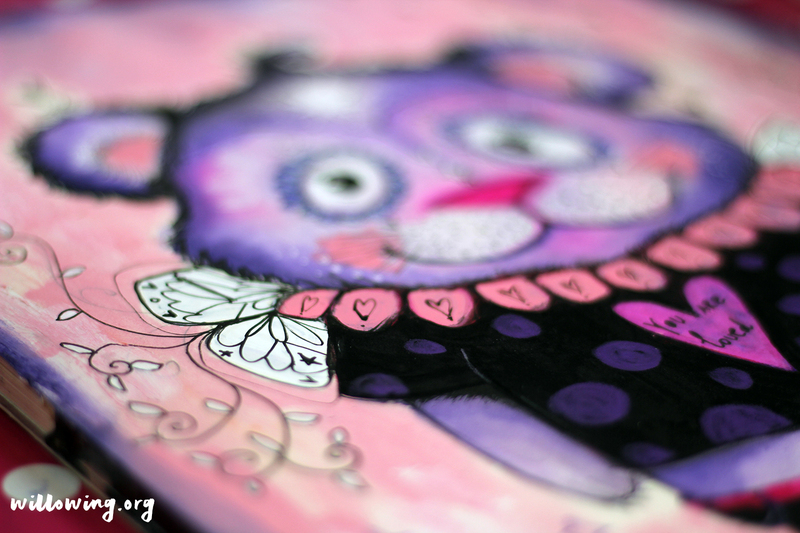 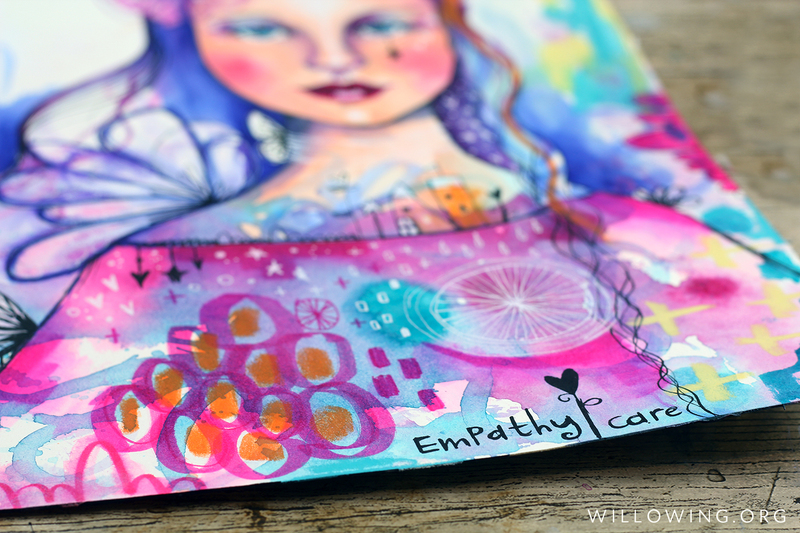 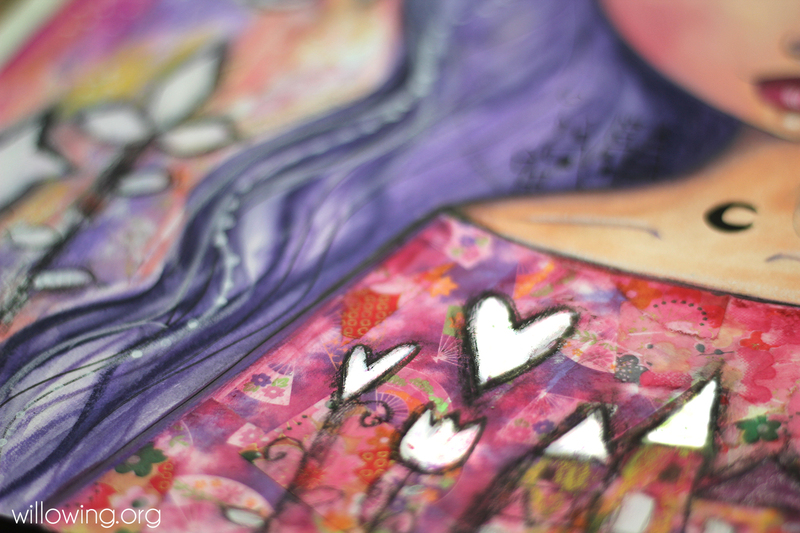 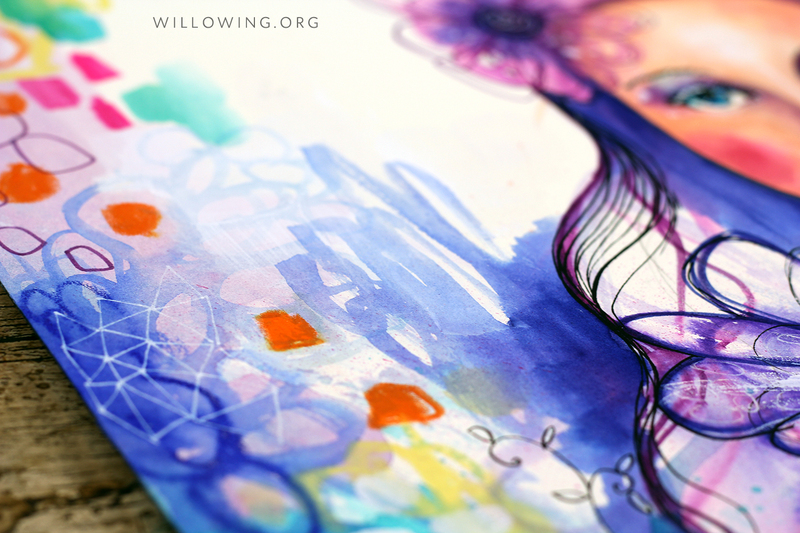 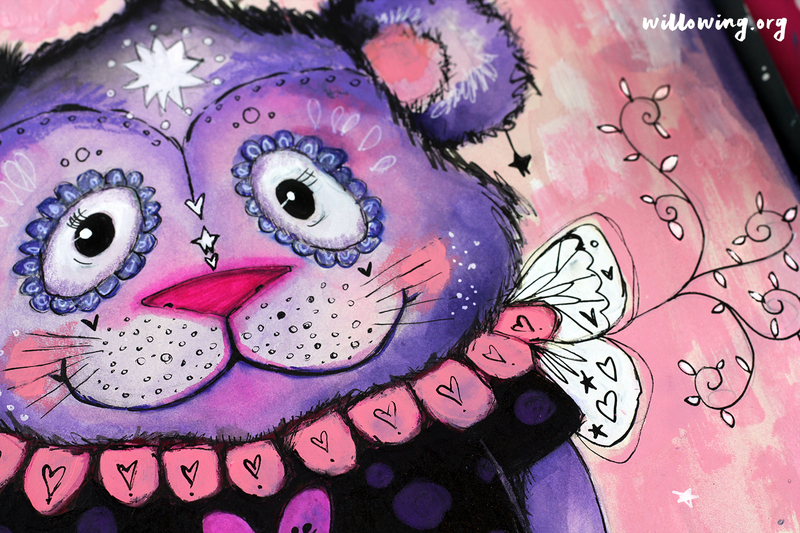 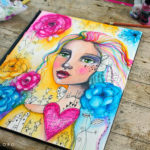 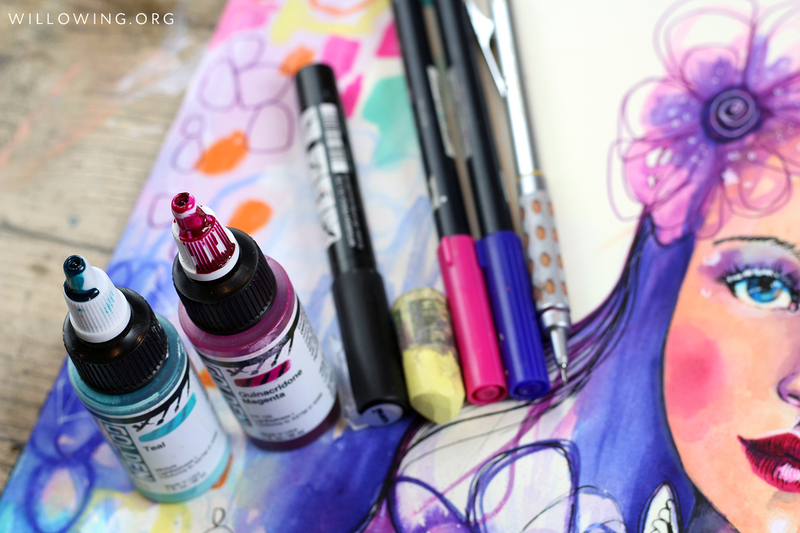 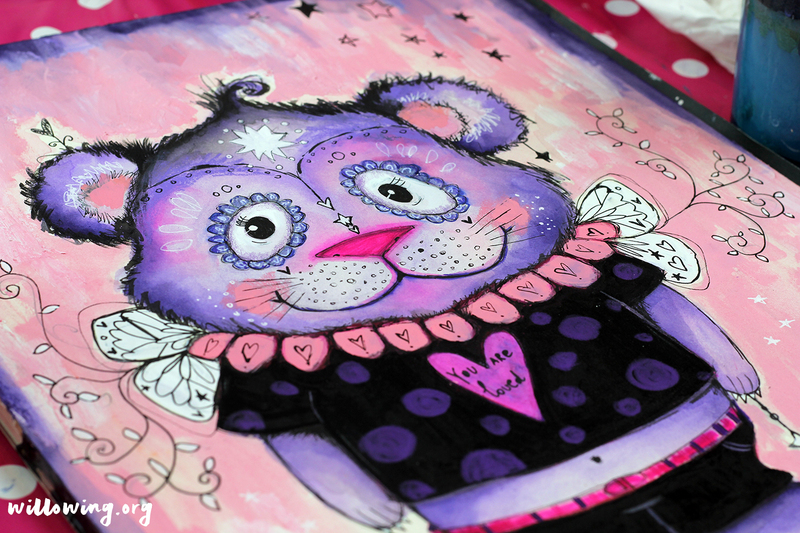 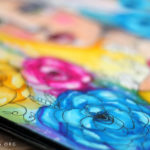 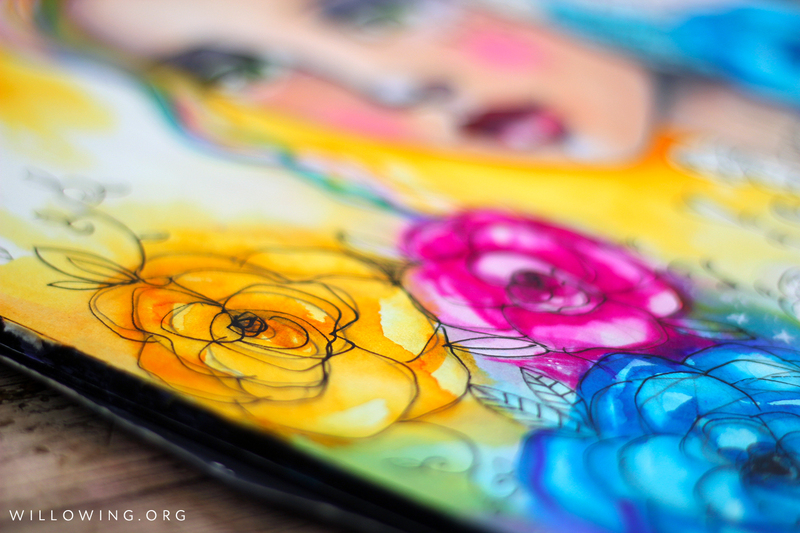 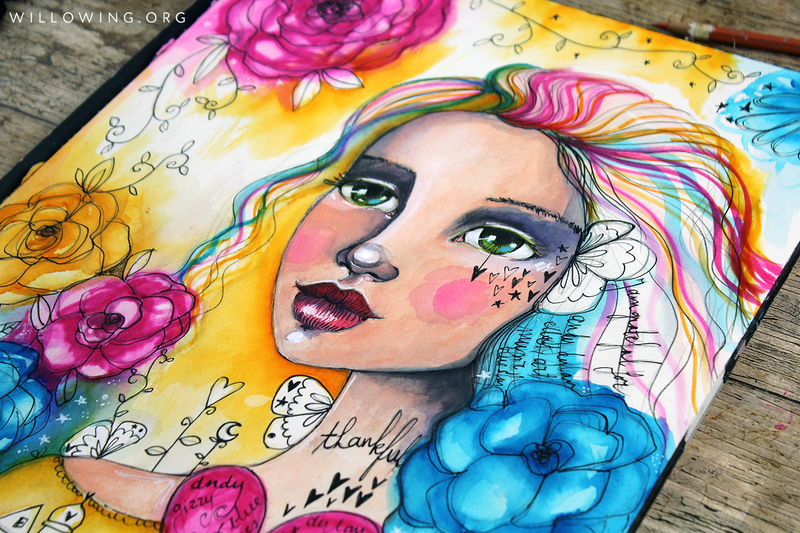 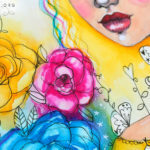 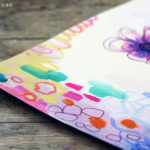 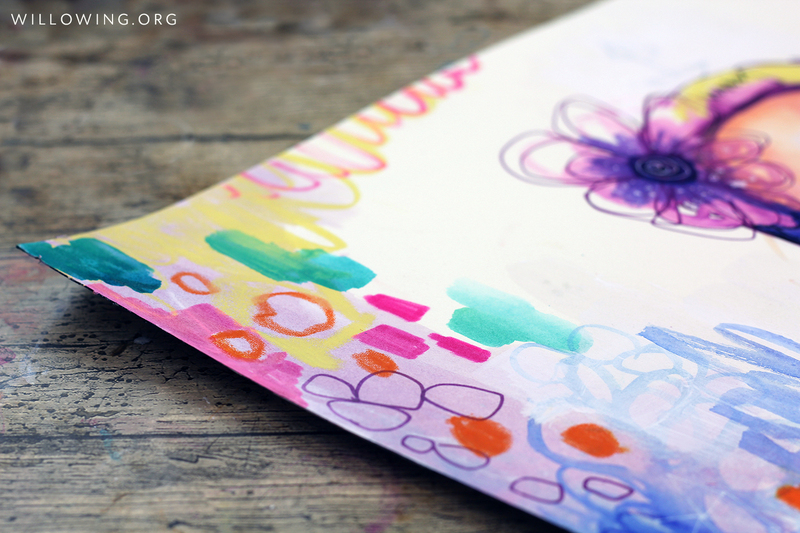 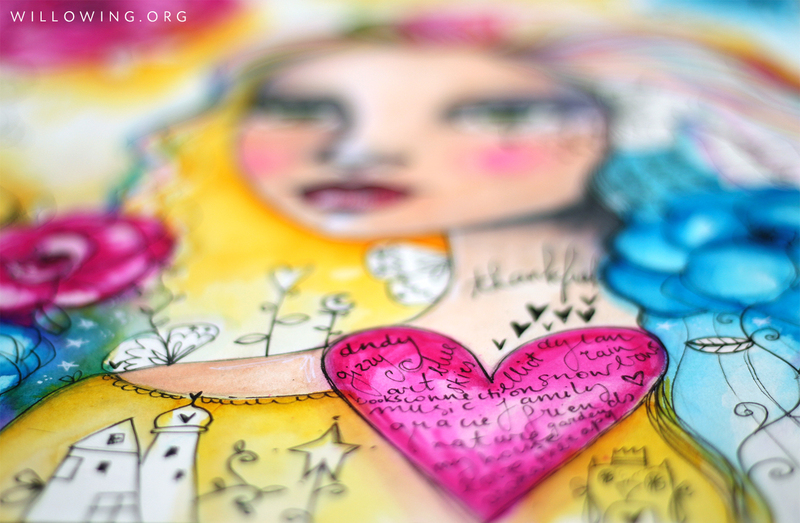 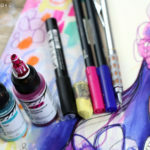 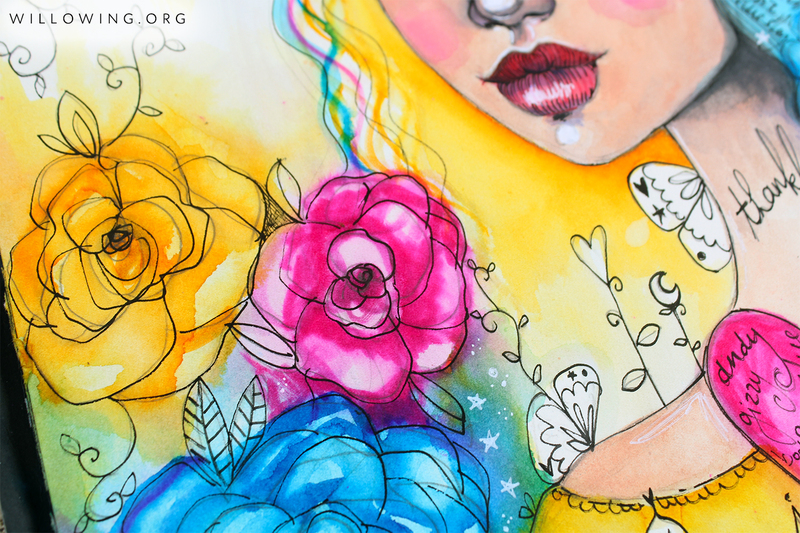 A Heart Full of Happy – For this lesson we will be drawing an angled portrait and painting the page mostly in inks in Tam’s ‘flower girl portrait’ style. 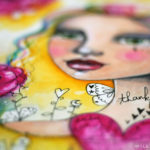 We look at ‘gratitude’ and how a gratitude exercise can be helpful in our lives. 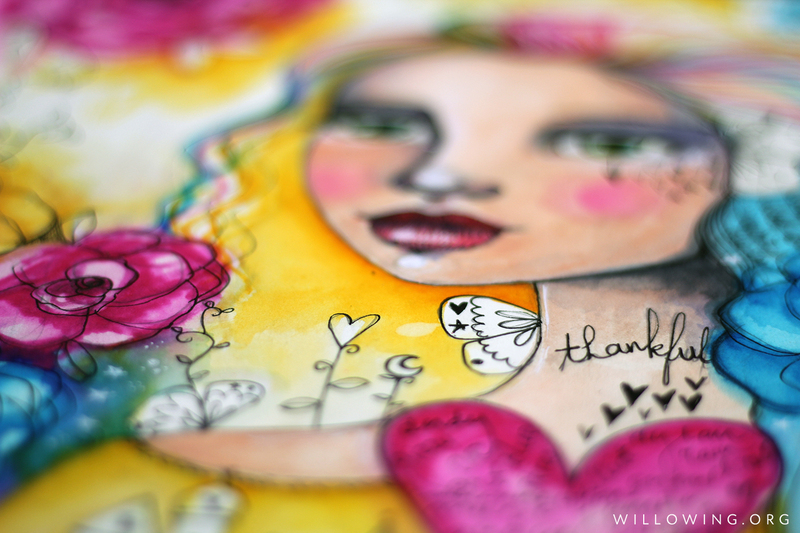 The final painting with celebrate and express gratitude for things, people, experiences you are grateful for in your life!. 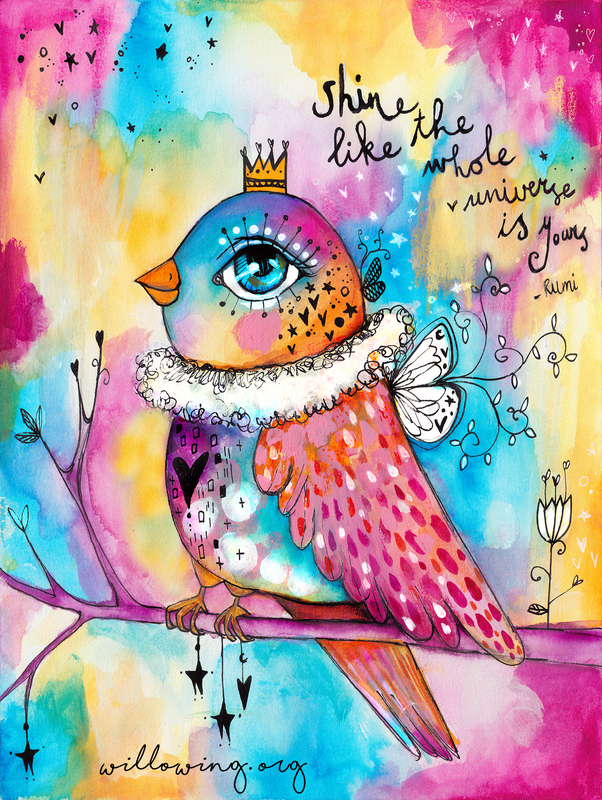 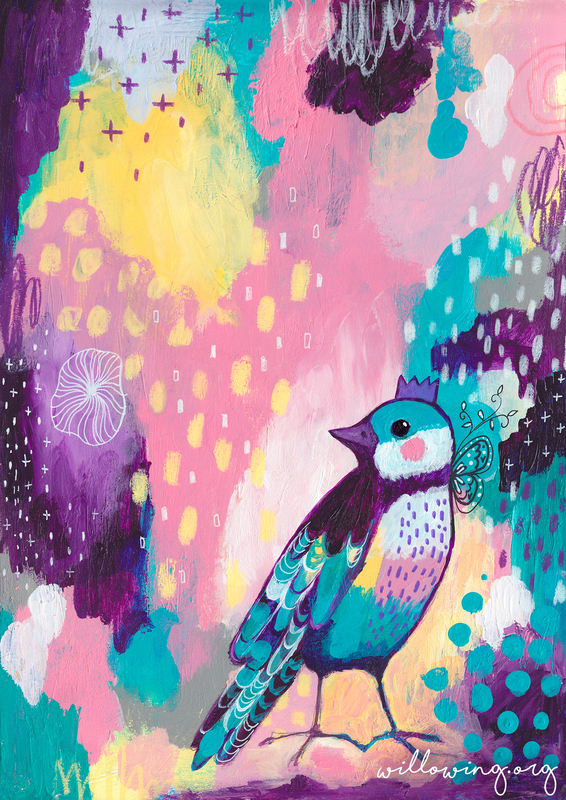 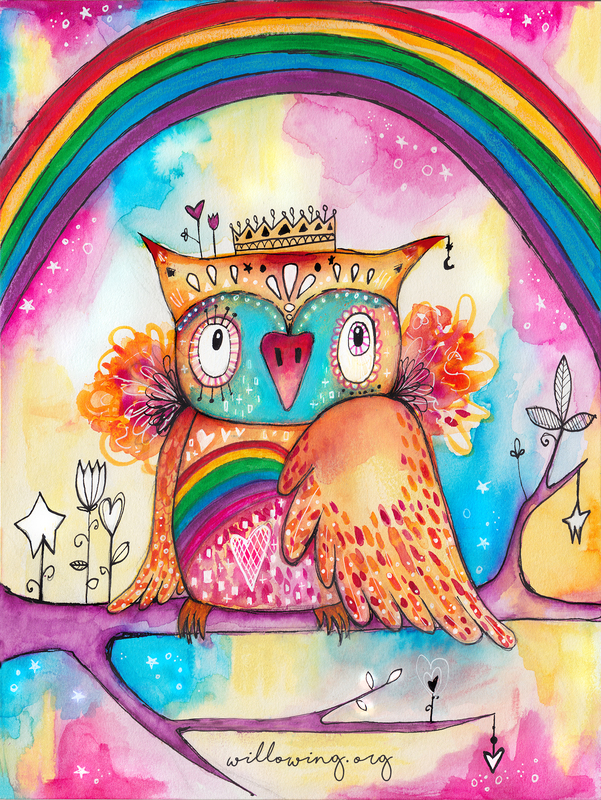 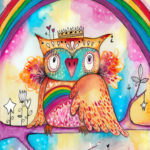 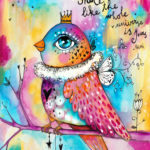 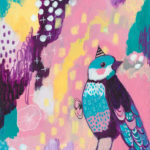 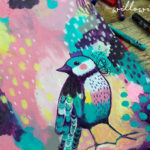 Quirky You – Create a page of Quirky Bird fun! 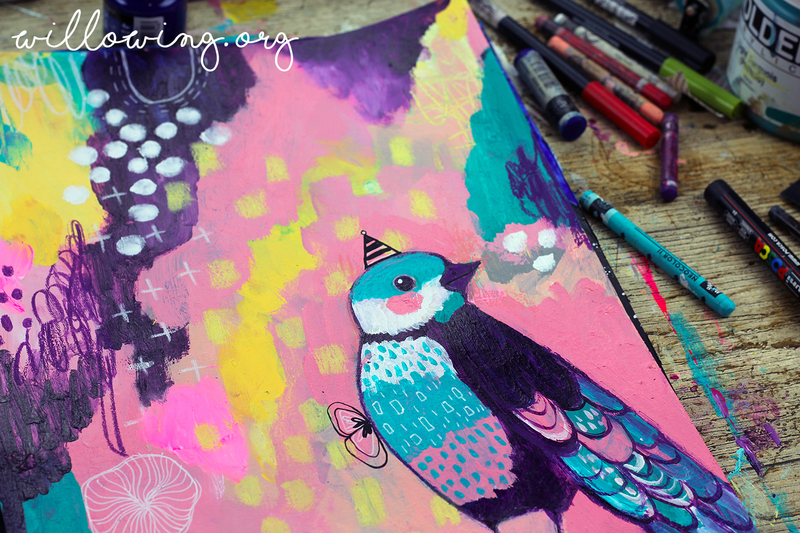 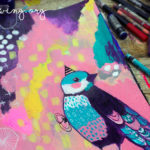 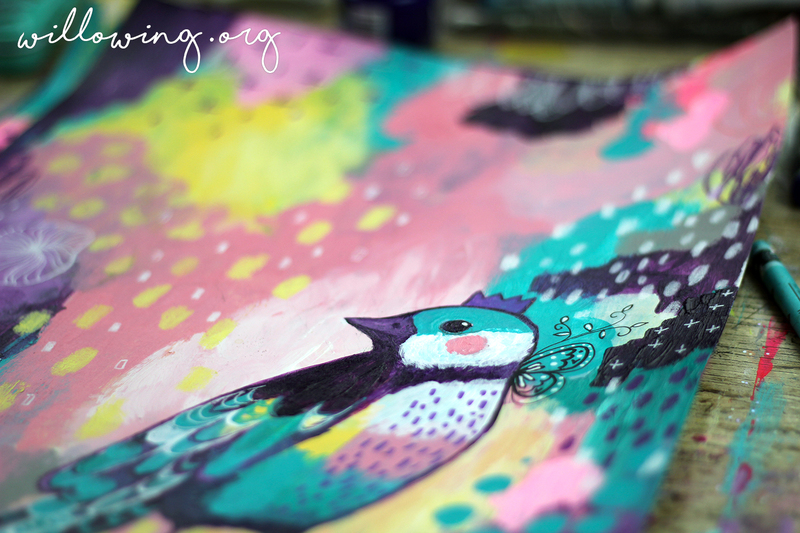 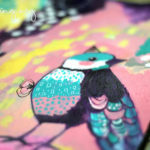 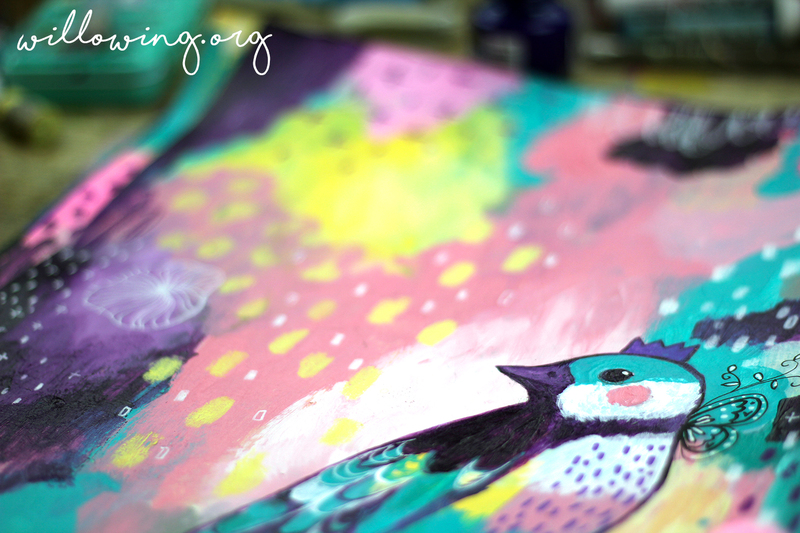 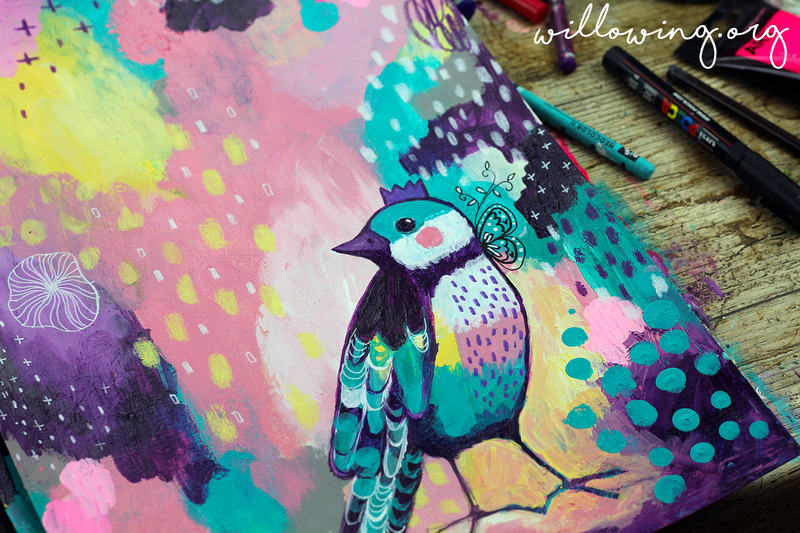 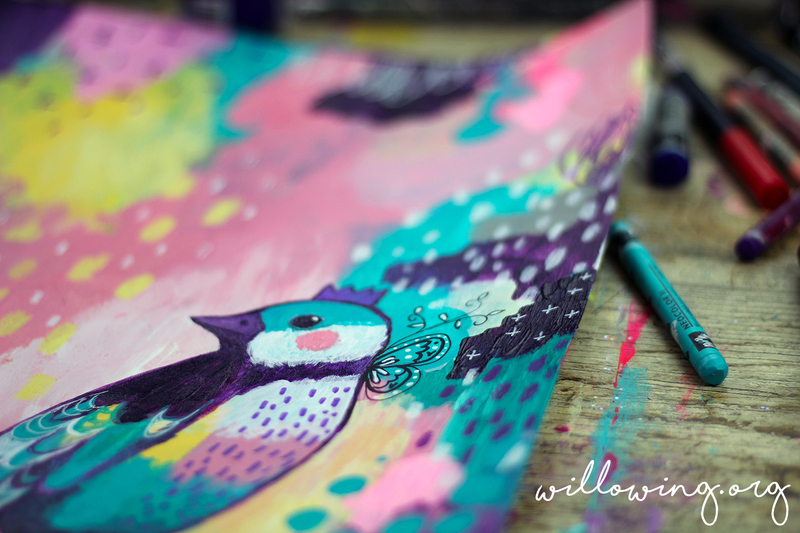 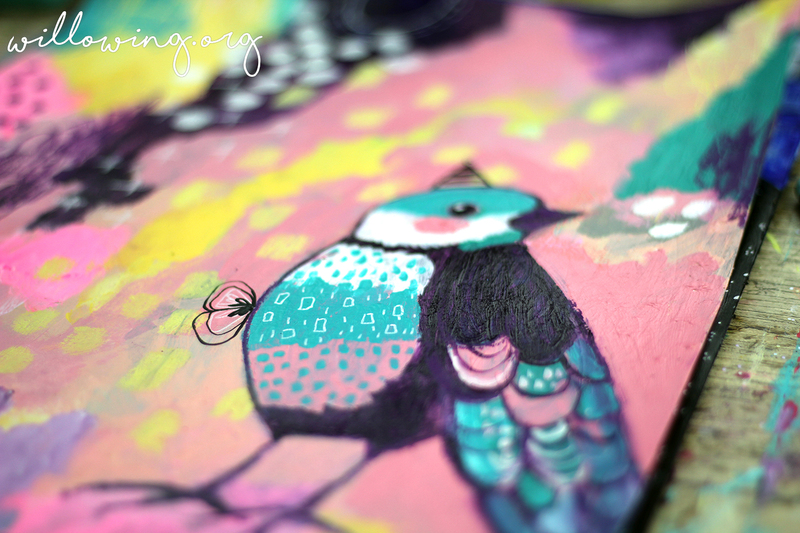 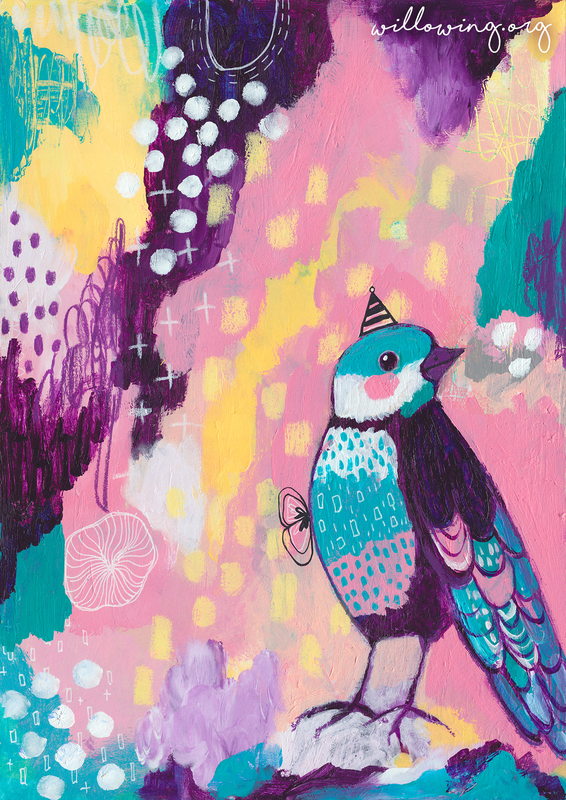 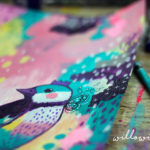 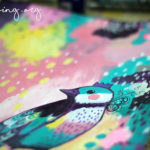 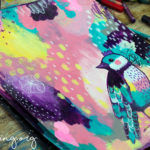 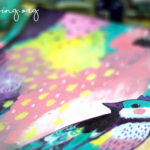 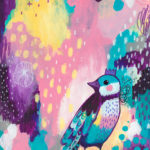 In 2 sessions create 2 different kind of (Quirky) birds! 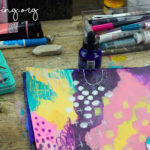 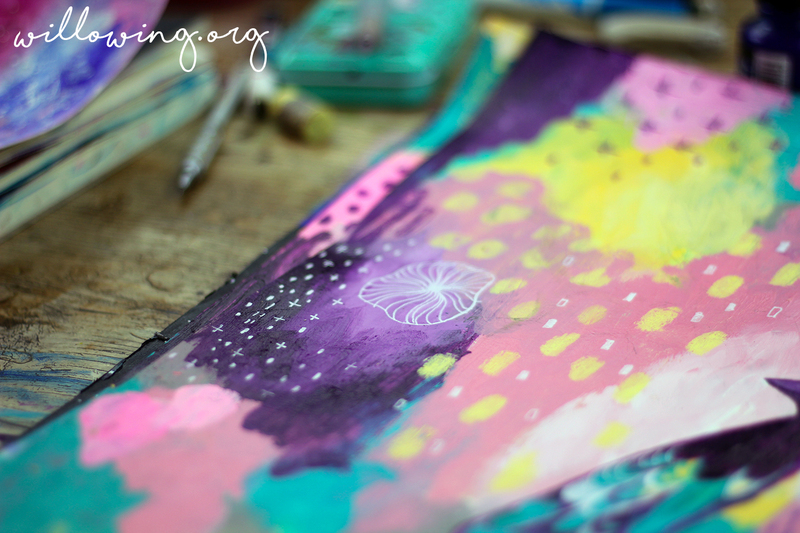 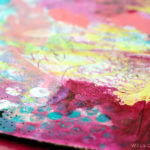 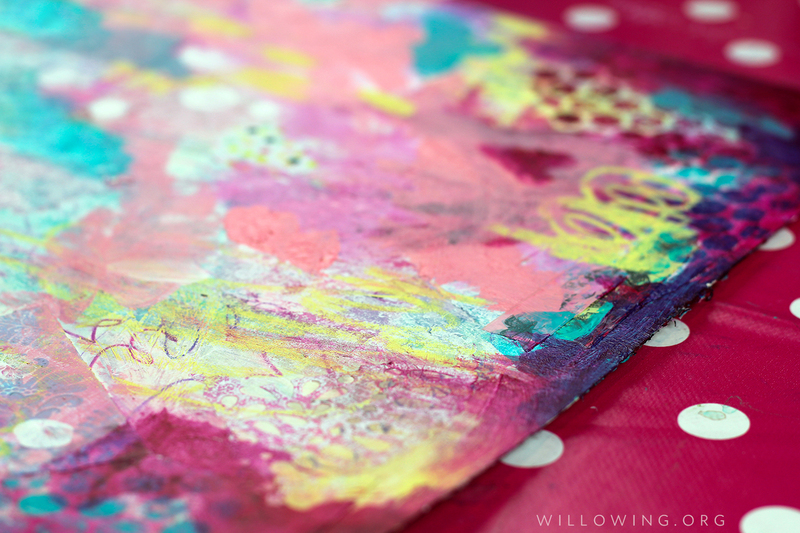 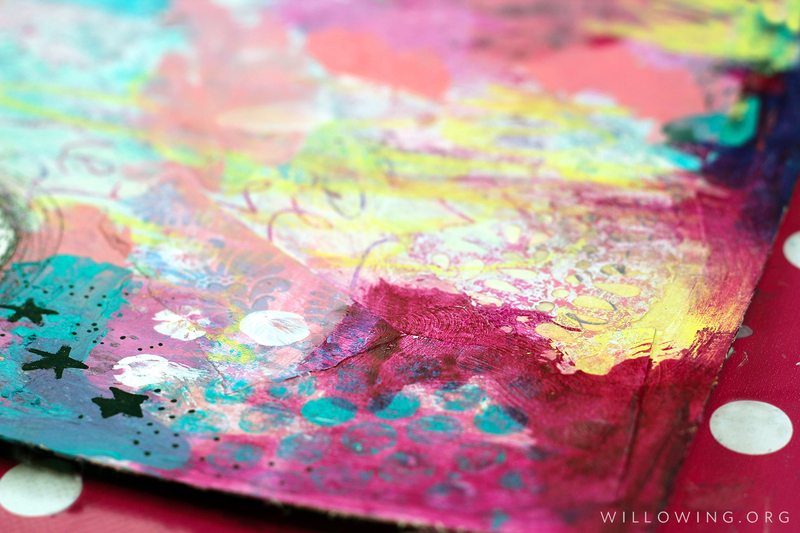 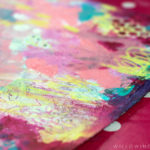 Jewels Found – The Gift in Our Stories – Explore combining figurative art with abstract and experiment! 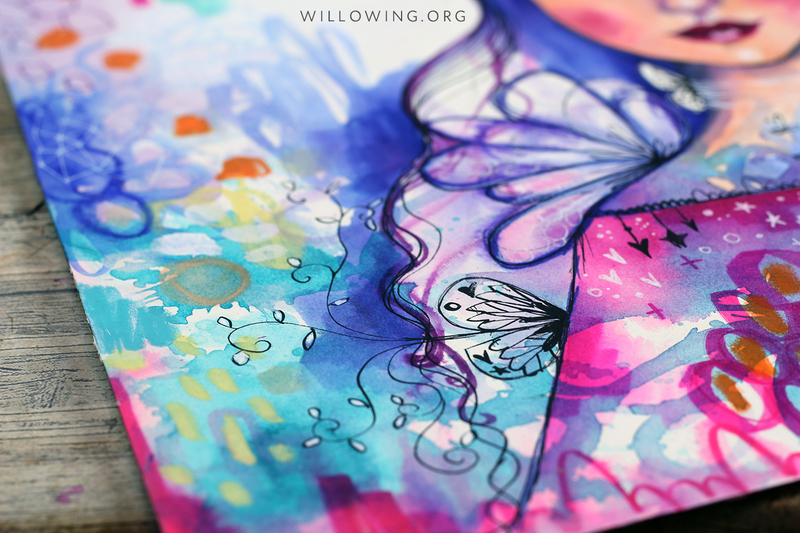 Compassion for Shadow & Light – Continue exploring bringing together abstract art with figurative art while also looking at embracing the ‘shadow and light’ in ourselves. 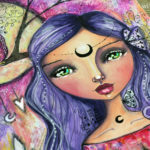 By the Light of the Moon – For this lesson work to transform limiting beliefs and using symbolism to enhance this. 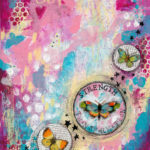 Tam shares a guided swish technique to help you transform your limiting belief and also a supporting PDF you can use to work through your beliefs in a different way. 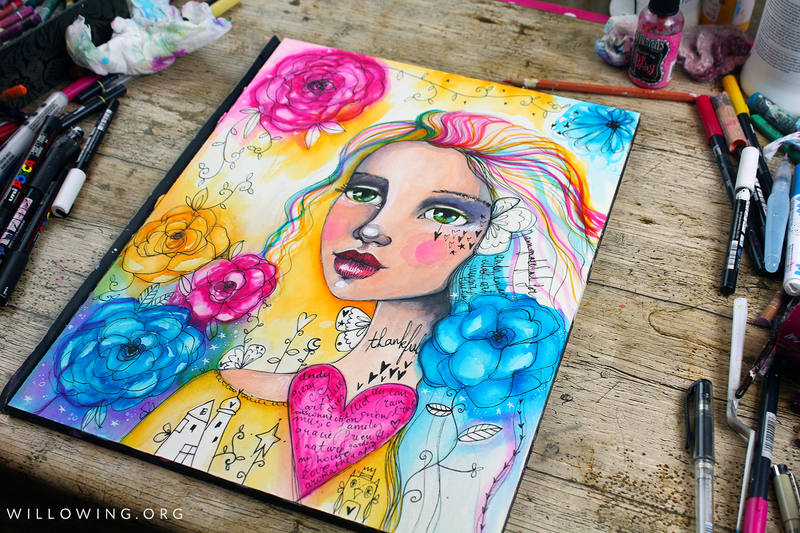 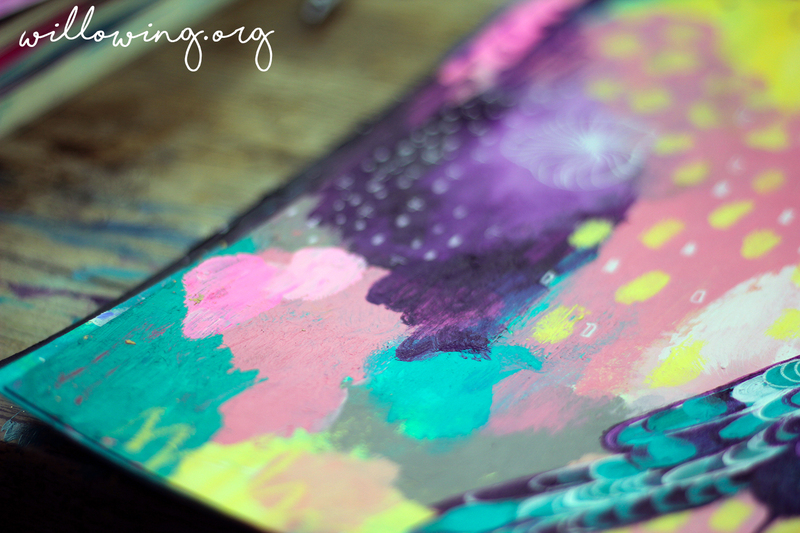 Binding Your Life Book – Learn how to bind your Life Book work into a book!